Don’t you get impressed when a news anchor or other proficient speaker uses just the perfect word, and not a long-winded explanation, to describe a situation without a pause? Those apt words are a result of a large active vocabulary. We’ll learn more on what active vocabulary is later in the post, but in short it means vocabulary you can actually use when speaking and writing, the holy grail of any vocabulary-building exercise. If you introspect, you’ll realize that although you can understand lots of words when reading or listening (called passive vocabulary), you can use only a minuscule fraction of that in speaking and writing (called active vocabulary). This post focuses on, first, building active vocabulary and, second, making this process efficient by building on words you already know – passive vocabulary – thereby making for faster progress. Look at following pictures and tell what word(s) best describes what’s happening there. A better word is ‘emptied’. Even ‘dumped’ is great. ‘Pluck’ is a better word. If you notice, these words – empty, dump, pluck, and bite – are simple. We can easily understand them while reading and listening, but rarely use them in speech or writing. Have you come across a person pause far too often, fumbling for the right word for what s/he has in mind? It’s in mind, but the person can’t find the word for it. That’s the result of inadequate vocabulary. 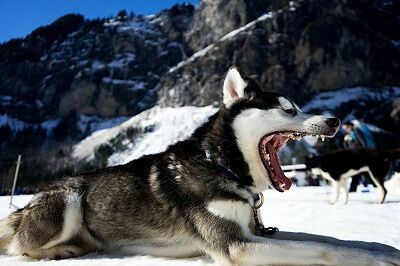 It can speed-break your speech, and, worse, dent your confidence. Both will convey the message, but the latter will stand you out. Without a single exception, those who had scored highest on the vocabulary test given in college, were in the top income group, while those who had scored the lowest were in the bottom income group. Presidents and vice presidents averaged 236 out of a possible 272 points; managers averaged 168; superintendents, 140; foremen, 114; floor bosses, 86. In virtually every case, vocabulary correlated with executive level and income. Can this be a motivation for you? Because active and passive vocabulary have been referred several times in this post, let’s understand the difference between the two before getting into the thick of things. What is active vocabulary and passive vocabulary? Earlier, I referred to the words ‘dump’ and ‘pluck’. You’ll probably understand the meaning of these words when reading, but, if you’re like most, you don’t use them in your speech or writing. You likely don’t even use far simpler words such as ‘claim’, at least in your speech. However, you use words such as ‘eat’, ‘sell’, ‘drink’, ‘see’ and ‘cook’ quite regularly. The former list of words – dump, pluck, and claim – forms passive vocabulary. Through reading and listening over the years, you’ve gathered words in your vocabulary that you can understand, but they don’t flow into your speech or writing. That’s passive vocabulary. In contrast, words in your active vocabulary – eat, sell, drink, see, and cook – flow into your speech and writing effortlessly, without pause. Many mistakenly believe that they’ve strong vocabulary because they can understand most words when reading and listening. But the real magic, the real use of vocabulary is when you use it in speech and writing. When you evaluate your vocabulary against this benchmark, your confidence in your vocabulary will likely be shaken. For non-native speakers, active vocabulary is a tiny fraction of their passive vocabulary. There are plenty of words, almost inexhaustible, sitting underutilized in your passive vocabulary. Wouldn’t it be awesome if you could move some – or most – of them to your active vocabulary? That would be easier too because you don’t have to learn them from scratch. You already understand their meaning and usage, at least some. That’s like plucking – to use the word we’ve already overused – low hanging fruits. Your passive vocabulary will, of course, depend on how much reading and listening you’ve accumulated over the years. 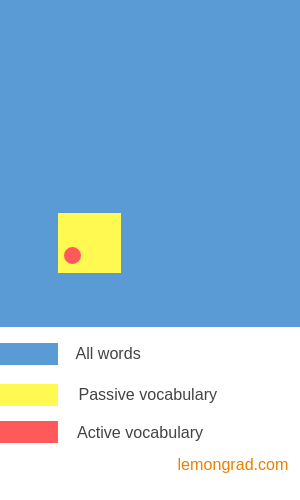 Unless it’s too low, your passive vocabulary is large enough for you to scout just few completely new words occasionally (blue region in the image above). Let’s dive into the tactics now. How I added more than 5,000 7,500 words to my active vocabulary? The first step is to get the words, preferably passive, you want to add to your vocabulary. Once I had 20-25 words on the list, I would check the meaning, and equally important the usage in the form of examples, of each word on dictionary.com and copy-paste them on a word document. Thereafter, I would take a print and go through it few times over the next few months. 1. So far, I was getting few words per week through reading and listening. I decided to up this. I dusted off my Collins Cobuild English Language Dictionary and started noting down words alphabetically directly from there, all the while making sure they belonged to my passive vocabulary. However, I didn’t stop my earlier practice of drawing words from reading and listening. But this now formed a minuscule (under 10 percent) proportion of the total volume. Some of you may get spooked at this stage imagining the ocean of words this exercise would result in. It was voluminous, no doubt, but – as you’ll see later in the post – manageable over several months. And some of you may be surprised that I’ll finish – the exercise is still underway – the entire dictionary with only 6,000+ 7,500+ words (update: I’m done) although a dictionary typically has hundreds of thousands of words. (Oxford English Dictionary, for example, contains 170,000 words.) This is because I’m covering key passive words, and that’s what is required. If you do this exercise, you too will end up with a similar number. a. A large number or quantity: a whole slew of people. b. The authorities announced a slew of measures to halt the violence. c. There are a slew of hearings on the topic of financial reform scheduled over the next few weeks in Congress. a. A part, portion, or share: a slice of land. c. To cut through or cleave with or as if with a knife: The ship sliced the sea. d. After following Franklin around for three days, investigators recovered DNA taken from a slice of pizza Franklin ate. 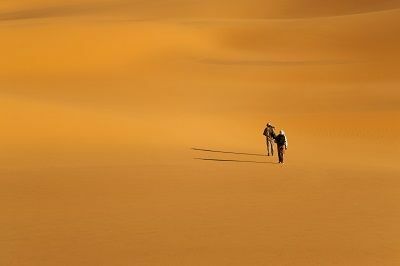 e. Dusty paths lined with lanterns led us to our camp, a slice of dramatic Arabian luxury. Let’s call this master page. Let’s call this list page. A tip here: make use of usage beyond just understanding how a word is used in sentences. To get more out of it, also look at how grammar, punctuation, and other words and phrases have been used in those sentences. You can even mark anything that attracts your attention on the print. I carry the list page (unlike master page, this one has only words) with me and whenever I get time I look at a particular word and recall its meaning (sometimes it could be more than one) and as many sentences (usage, in other words) as possible containing that word. I aim for at least five usages. Sometimes, I come up with just two. Sometimes, seven or eight. These usages aren’t necessarily the same that I copied in the master page. But because I’ve understood the meaning and have seen few usages in the master page, I can generate my own. Let your imagination run wild when thinking of these. Let few of them sound silly. Doesn’t matter. Not always possible, but wherever you can, try to come up with few usages that you’ve seen, heard, or experienced yourself. Nothing like anchoring what you’ve learnt to real-world experiences to consolidate the meaning and usage of a word. I complete this first review of 12-13 words in 10-odd minutes, and this time comes entirely from time-wasters such as commute and waiting time. That’s why I carry the list page with me. If I get stuck at one or two usages, I give up only after giving a fair amount of thinking. In the initial months, I used to come up with usages containing only the word I looked at in the list page. But later on, as my vocabulary swelled, I started using multiple words in the same usage. For example, I used two words in one usage here: He had unfettered access to the powers that be. Note: I use physical papers as flashcards for spaced repetition. Feel free to use an app or any other method that works for you. Next up are three vocabulary activities I practice to consolidate the vocabulary I’ve learnt and, more importantly, make it easier to actually use in written and verbal communication. That’s why you’re acing vocabulary, right? To use in speech and writing. There are no prizes for building lists that you can’t use. 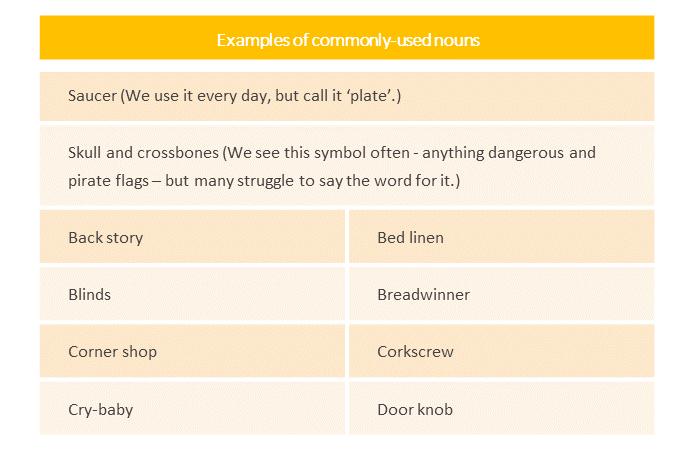 Research suggests that students are able to select correct definitions for unknown words from a dictionary, but they have difficulty then using these words in production tasks such as writing sentences using the new words. It’s even more difficult in verbal communication where, unlike writing, you don’t have the luxury of pausing and recalling appropriate words. The Holy Grail for application of vocabulary is to use it in verbal communication where you’ve to come up with an appropriate word in split second. The following three vocabulary exercises will prepare you for this goal. However, in the beginning, when you’re still adding to your active vocabulary in tons, you’ll struggle to go beyond 2-3 words when thinking out such thematic lists. That’s absolutely fine. But try thinking out such webs even if your words are simple and few. Because that’s how we recall words when speaking or writing. (If you flip through Word Power Made Easy, a popular book on improving vocabulary by Norman Lewis, you’ll realize that its each chapter represents a particular idea, something similar to a theme.) Besides, building a web also quickly jogs you through more words. If I see grass on the roadside, I say ‘verdant’ or ‘luxurious’. If I see a vehicle stopping by the roadside, I say ‘pull over’. If I see a vehicle speeding away from other vehicles, I say ‘pull away’. If I see a person carrying a load on the road side, I say ‘lug’ and ‘pavement’. Key is to come up with these words in a flash. Go for speed, not accuracy. 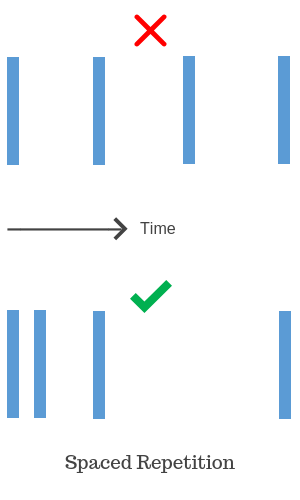 (After all, you’ll have similar reaction time when speaking.) If you can’t think of an appropriate word for what you see instantaneously – and there will be plenty in the beginning – skip it. Last, you can also use this exercise to assess the level of your current vocabulary (for spoken English). If you struggle to come up with words for too many things/ situations, you’ve job on your hands. The underlined words are few of the new additions to my active vocabulary I used on the fly when focusing on this person. Feel free to improvise and modify this process to suit your unique conditions, keeping in mind the fundamentals such as spaced repetition, utilizing the time you waste, and putting what you’re learning to use (exercises in step 5, 6, and 7 are three of the ways). Why I learnt English vocabulary this way? Covering mainly passive vocabulary has made sure that I’m building on what I already know, which makes for faster progress. Learning vocabulary in significant volume is a challenge. Bigger challenge is to retain what you’re learning. But the biggest is to recall an apt word in split second while speaking. Spaced repetition and exercises described in step 5, 6, and 7 precisely prepared me for this real-world test. That’s what you want, right? Use the vocabulary you’re learning in your speech and writing. We learnt ways to improve active vocabulary, but what about the traditional way of learning words from the context while reading and listening. Most of us learn vocabulary ‘less violently’ from reading and listening by figuring out what a particular word means in the context of other words and sentences around that word. This definitely works, but is this the best way to build vocabulary, especially active vocabulary? Consider learning from context. Although there is research indicating that exposure to new words in written contexts results in some development of general vocabulary, it is difficult to predict what words can be learned through an examination of the context. Context does not always reveal meaning; indeed, it is sometimes misleading. Even the meaning may not always be clear. (To give an example of this, till recently I thought ‘square meal’ means two meals a day.) We’re not even talking of more certain misses such as multiple meanings and usages many words have, which can best – and more efficiently – be skimmed by pouring through those multiple meanings and variety of precise sentences containing that word. And how do most improve vocabulary? Learning words in context through reading and listening. You need to take a step further. You need to explore words further in a dictionary. Know precise meaning. Other meanings too. And, equally important, see few sentences where the word has been used. You wouldn’t usually bother to include words such as ‘slip’, ‘give’, and ‘move’ in your list because you think you know them inside out, after all you’ve been using them regularly for ages. I also thought so… until I explored few of them. I found that majority of simple words have few common usages we rarely use. Use of simple words for such common usages will stand your communication skills out on count of simplicity. a. To slide suddenly or involuntarily as on a smooth surface: She slipped on the icy ground. b. To slide out from grasp, etc. : The soap slipped from my hand. c. To move or start gradually from a place or position: His hat slipped over his eyes. d. To pass without having been acted upon or used: to let an opportunity slip. e. To pass quickly (often followed by away or by): The years slipped by. f. To move or go quietly, cautiously, or unobtrusively: to slip out of a room. Most use the word in the meaning (a) and (b), but if you use the word for meaning (c) to (f) – which BTW is common – you’ll impress people. a. Without the physical presence of people in control: an unmanned spacecraft. b. Hovering near the unmanned iPod resting on the side bar, stands a short, blond man. c. Political leaders are vocal about the benefits they expect to see from unmanned aircraft. Most use the word ‘unmanned’ with a moving object such as an aircraft or a drone, but how about using it with an iPod (see (b) above). 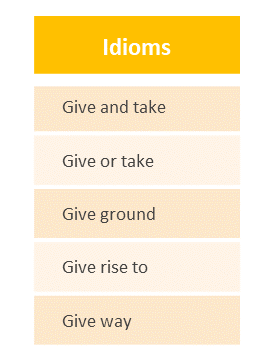 Unfortunately, you can’t predict the meaning of a phrasal verb from the main verb. For example, it’s hard to guess the meaning of ‘take over’ or ‘take off’ from ‘take’. 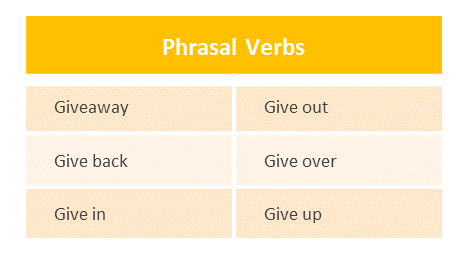 You’ve to learn each phrasal verb separately. However, you’ll be fine focusing on just the common ones. I don’t have the exact number, but my list would contain around 15 percent phrasal verbs and idioms. One of my goals while building vocabulary has been to learn what to call commonly used objects (or nouns). To give an example, what would you call the following? 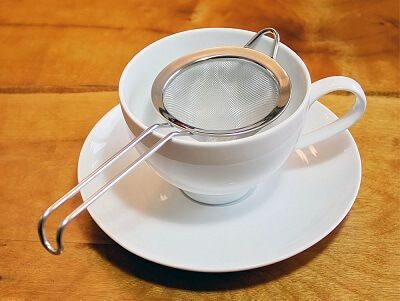 It is used to filter tea. Not at this scale – 37 words every three days. Accumulating such large volume of vocabulary at a high quality – and that’s more important – wasn’t breeze for me, but, to be honest, was easy. But still you’re highly unlikely to pull this off at this scale. And even if you want to achieve more than a word a day, start small. Start at a word a day. Streamline process, build habit, and then expand. Those you don’t use in your writing and speech. Some mistakenly believe that they can’t retain so many words along with their meaning and multiple usages because their brains have limited memory space. According to some estimates, human brain has memory storage capacity close to 2.5 petabytes (or a million GB). If your brain worked like a digital video recorder in a television, this storage capacity will be good enough to store 3 million hours (or approximately 300 years) of TV shows. That’s infinite for all practical purposes. You’re not going to run out of memory space in your life time. When I started my vocabulary journey in the beginning of 2016, I accumulated words as and when I stumbled on them in my reading. I didn’t follow spaced repetition too in the strict sense. So in mid-2016, I started with the first page of my Collins Cobuild English Language Dictionary, noting down words sitting in my passive vocabulary. Most of them were simple, commonly-used words that I hadn’t been using in writing or speech. In the remaining half of the year, I covered nearly 1,200 words, taking the total for the year to 1,574 words. More than 10 words a day in detail for over a year is, no doubt, arduous… but it wasn’t for me. Building sound vocabulary is probably the hardest part in improving communication skills, and for precisely this reason strong vocabulary can be a differentiator over others. This and the fact that I’ll use it for the rest of my life were strong motivators for me to undertake this mammoth exercise. I’ll end with a brief reference to the UIDAI project that is providing unique biometric ID to every Indian. This project, launched in 2009, has so far issued a unique ID (popularly called Aadhaar card) to more than 1.1 billion people. The project faced many teething problems and has been a one big grind for the implementers. But once this massive data of billion + people was collected, so many obstinate, long-standing problems are being eased using this data, which otherwise would’ve been difficult to pull off. It has enabled faster delivery of scores of government and private services, checked duplication on many fronts, and brought in more transparency in financial and other transactions, denting parallel economy. There are many more. And many more are being conceived on top of this data. At some level, vocabulary is somewhat similar. 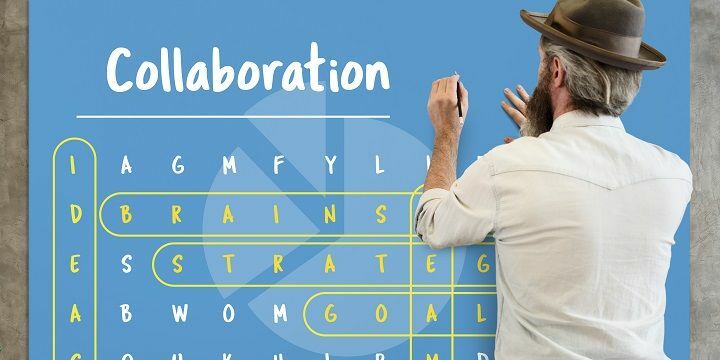 It’ll take effort, but once you’ve sizable active vocabulary, it’ll strengthen the most challenging part of communication. And because it takes some doing, it’s not easy for others to catch up. I am using the note app and the in built dictionary of the iPhone. I had accumulated over 1400 words in 1 year. Krishna, thanks. If you’re building vocabulary for using, then make sure you work it accordingly. Thank you for sharing such useful and informative post. I learn lot of things from your article. Vocabulary is most important one for students and writers. Thanks once again! This is my New Years Resolution and you’ve perfectly captured the issues I’ve been facing with the emphasis on passive vocabulary building so common on anything vocab related. So many vocab apps are multiple choice and thereby useless for this reason. Thanks so much for the exercises! I plan to put them to use!